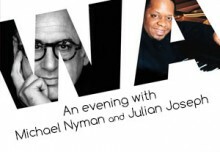 A unique fundraising success for Wac Arts when Michael Nyman plays his own piano with Wac Arts alumnus and Jazz star, Julian Joseph! Michael Nyman played his memorable film tracks on the very piano on which he composed them and Julian Joseph improvised sizzling jazz. 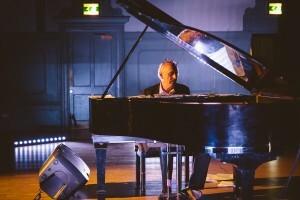 The two musical stars were brought together in ‘An evening with Michael Nyman and Julian Joseph’ at the Old Town Hall on 6th December. 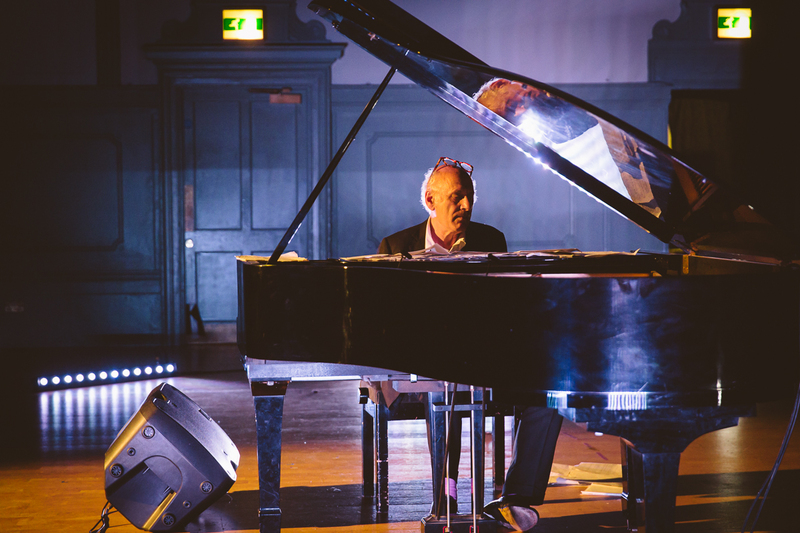 Ahead of his sell out concert at the Barbican, Nyman donated his piano and his talent to Wac Arts, where students also had a chance to perform fresh re-workings of his pieces. Michael and Julian’s accomplished performances were central to the evening, with glittering support from our very own Junior Wac Arts Band, Senior Wac Arts Band and Senior Wac Arts choir. The evening raised a phenomenal £30,000 which will enable Wac Arts to run their junior programme for 5-14 year olds. Prior to the event Michael and Julian spoke to Wac Arts as well as the local press and Jazz FM about the concert and why they have chosen to support Wac Arts. most. 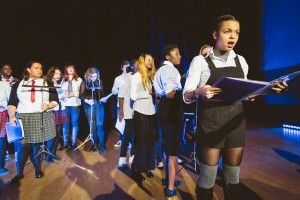 It is a charity where young people, often from challenging backgrounds, and with diverse talents can be safely nurtured through the highest quality arts education. 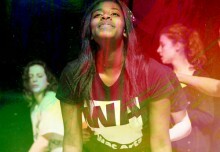 At Wac Arts we believe that learning the arts can give young people invaluable tools for life; it can build confidence, improve self-esteem and help overcome great difficulties. 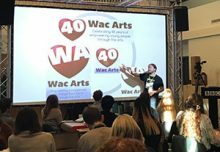 Quite simply, Wac Arts is leading the way in producing the future generation of diverse talent in this country and in doing so empowering young people to change their world. Michael Nyman is an acclaimed pianist, composer, librettist and musicologist, best known for his written pieces from his long collaboration with filmmaker Peter Greenway, and his soundtrack from the film, The Piano. Nyman studied at the Royal Academy of Music from 1961-64 and acquired his PhD from King’s College, London, in 1967. He studied piano and Baroque style. Apart from film soundtracks, Michael Nyman’s work encompasses operas and string quartets, orchestral concertos, and other non-musical works. In 1974, as a spin- off from his journalistic work, Nyman published the still-classic book on new music, Experimental Music: Cage and Beyond. In 1976 Nyman returned to composing in Goldoni’s II Campiello for the opening production at the National Theatre. More recently his work as a soundtrack composer has been confined to silent films from the late 1920’s such as Man with a Movie Camera and Battleship Potemkin. Nyman has also produced numerous short films, published photography books, and is currently working on writing 19 symphonies. Michael Nyman’s music has been released by Virgin, EMI, Decca, Warner Classics and Sony and is now represented exclusively by his own record label, MN Records. Julian Joseph is one of the most noted British jazz musicians. 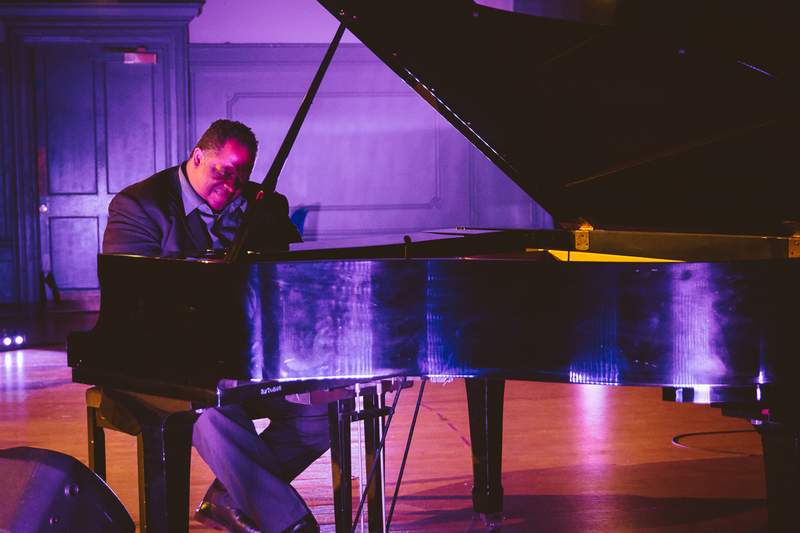 As a teenager he spent two years attending jazz workshops at Wac Arts, before taking up a scholarship in 1985 at the Berklee School of Music in Boston, Massachusetts. 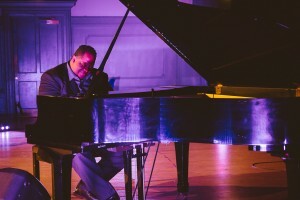 Joseph toured through the US and Canada in the company of artists such as Wynton Marsalis, Bobby McFerrin and Joe Williams. He has released seven albums, and played jazz as part of big bands, trios, quartets and as a solo performer. He is a broadcaster for BBC 3 Jazz Line-Up show. 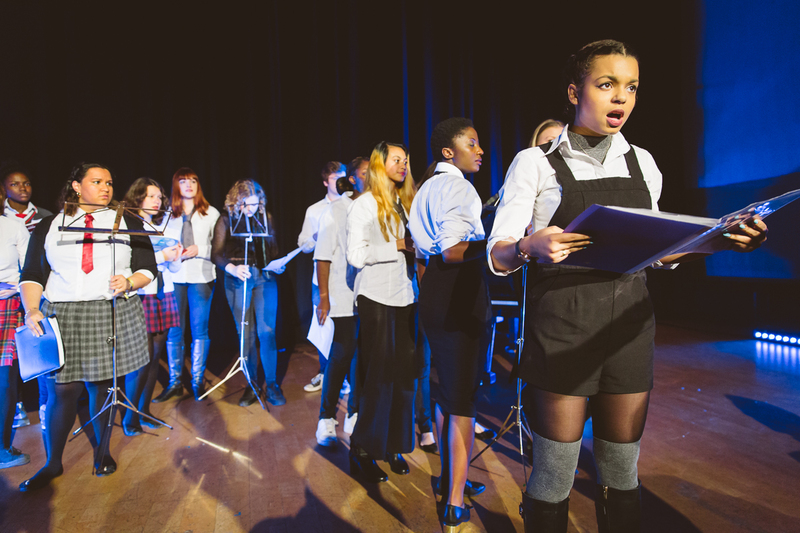 For more information please contact the Marketing Department at Wac Arts on 020 7692 5807.